I cannot begin to tell you how excited I am about our FREE 4 Week Challenge that launches May 1st! I've designed this challenge to be quick and simple for anyone to take part - even if you are not Type A... Each challenge is designed to take 15 - 30 minutes a day for 28 days. I've worked hard to make this system manageable even for the busiest people - and the best part is that it's absolutely FREE. Watch this quick video to get a little idea of what we'll be tackling during the challenge along with how it's all set up. As you can see from the video, I'm including all kinds of bonuses to help you feel even more successful! There's videos, free downloads, inspiration boards and more to help push and motivate you! I know that organizing can be daunting - and even overwhelming - but I promise it doesn't have to be that way. I've done everything to give you the tools to be successful (all without taking up too much of your time). I firmly believe that when your home is a little more organized, it helps to alleviate stress, increases happiness & allows us to focus on our priorities. My goal with this challenge is to have you walk away after 28 days feel empowered, satisfied and successful. Are you ready to sign up? Just click the yellow button below and I'll immediately send you a welcome video so you'll feel ready for day one. It all begins May 1st. *** Oh, did I mention that I believe that GIVEAWAYS help encourage you? 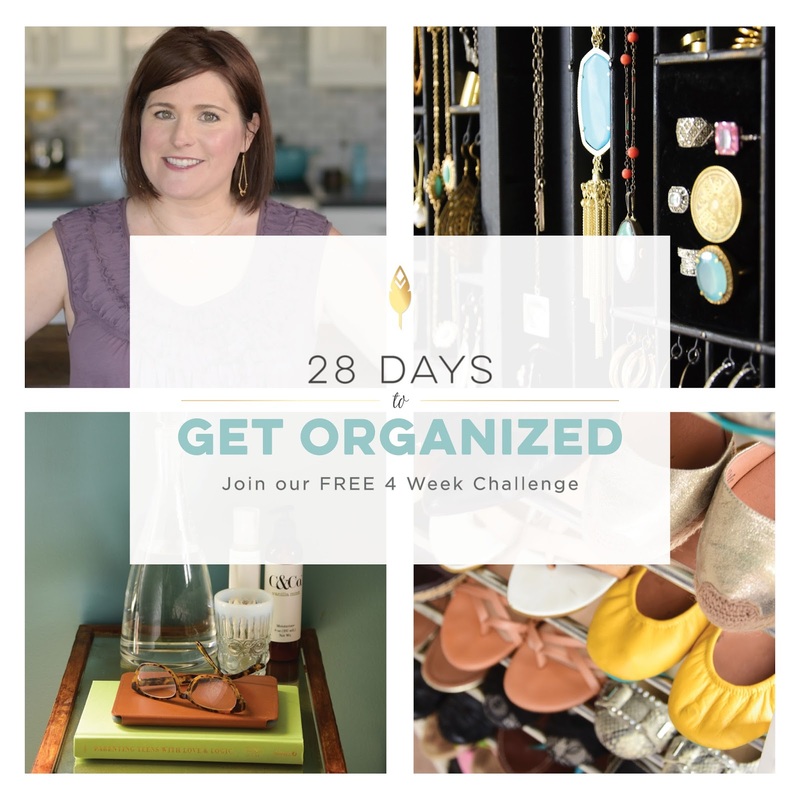 I do... so I've got a fun giveaway each week of the challenge where you can win all kinds of prizes - just for organizing your own home. See? I really do love you - I want you to succeed and feel good. Let's do this together. Just make sure to sign up HERE so you don't miss out!